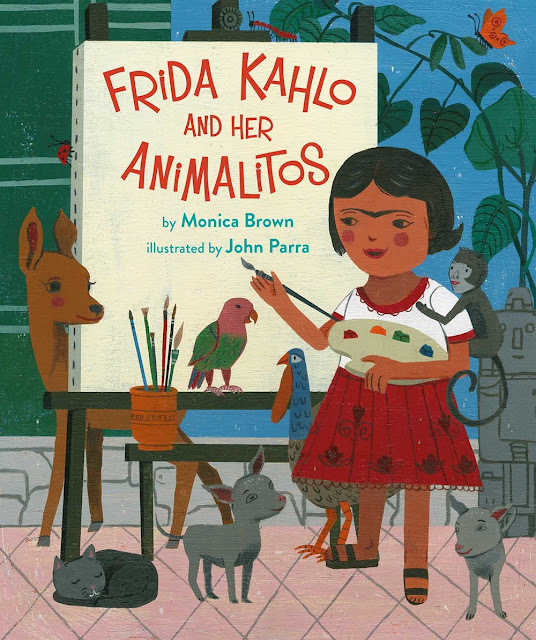 Mexican artist Frida Kahlo is remembered for many things –– her self-portraits, her tragic accident –– but in this story readers learn about the animals she grew up with and lived with in her adult life. 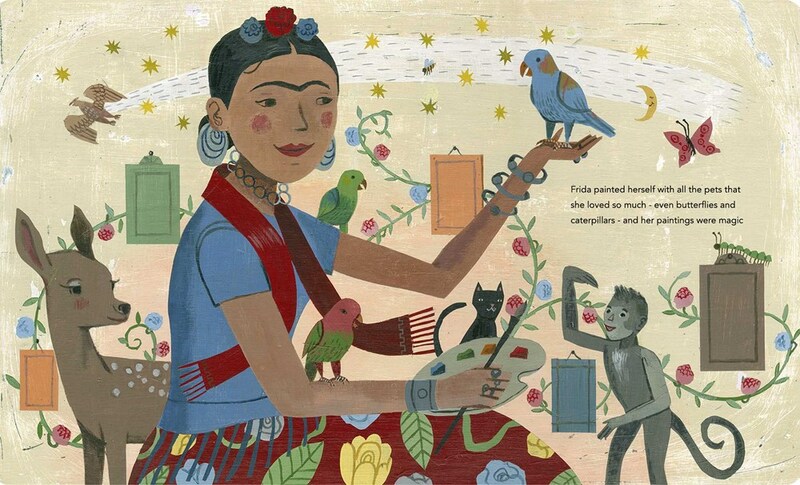 Frida had two monkeys, a parrot, three dogs, two turkeys, an eagle, a black cat, and a fawn, and each left its own impression on the painter, influencing and changing who she was as a person and an artist. The illustrations in this book are fascinating, but the method that Parra uses to create his art is even more fascinating. He applies layers of acrylic paint to illustration board and then sandpapers the layers to create a weathered look. 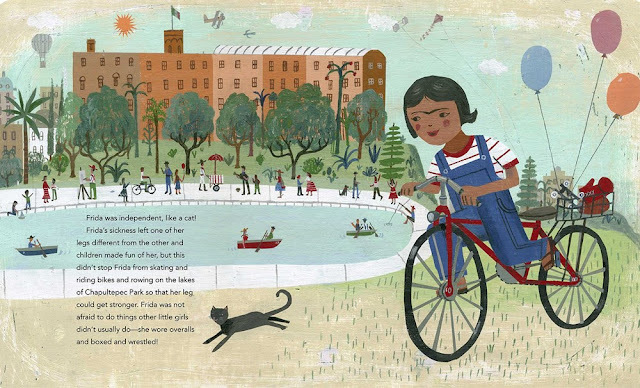 Every layer of the illustrations is intentional and speak to the many different layers that made up Frida Kahlo herself. Friday Kahlo and Her Animalitos published from NorthSouth Books this past September!